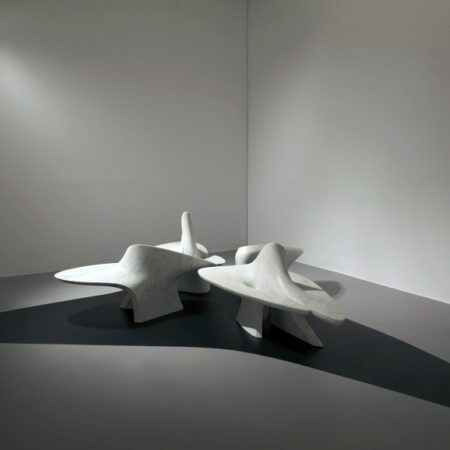 What has remained constant in the career of Zaha Hadid is the dynamic conception of a space in continuous movement that overwhelms the shapes and breaks the geometries. 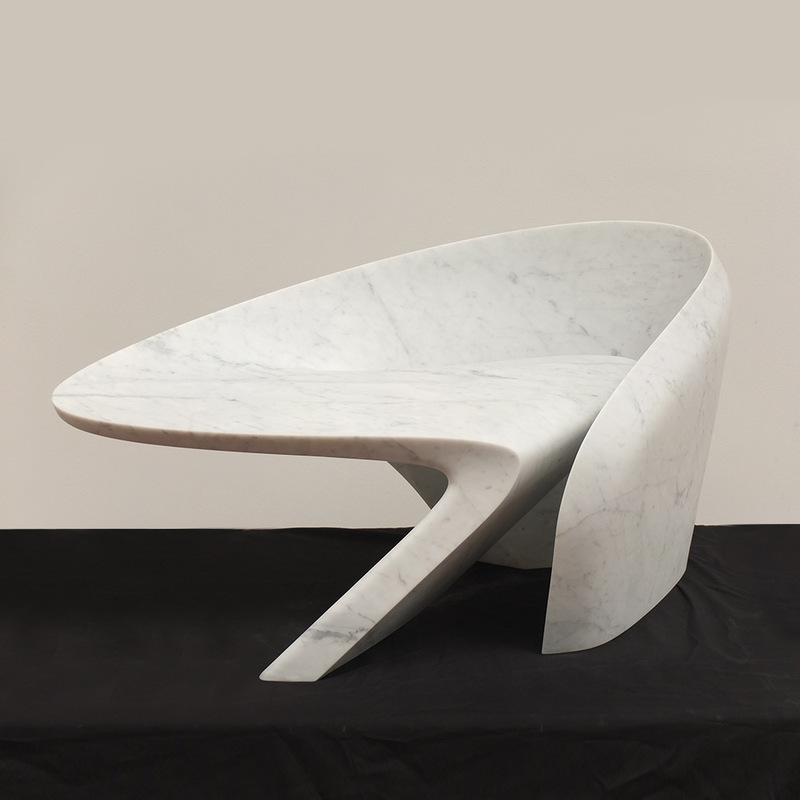 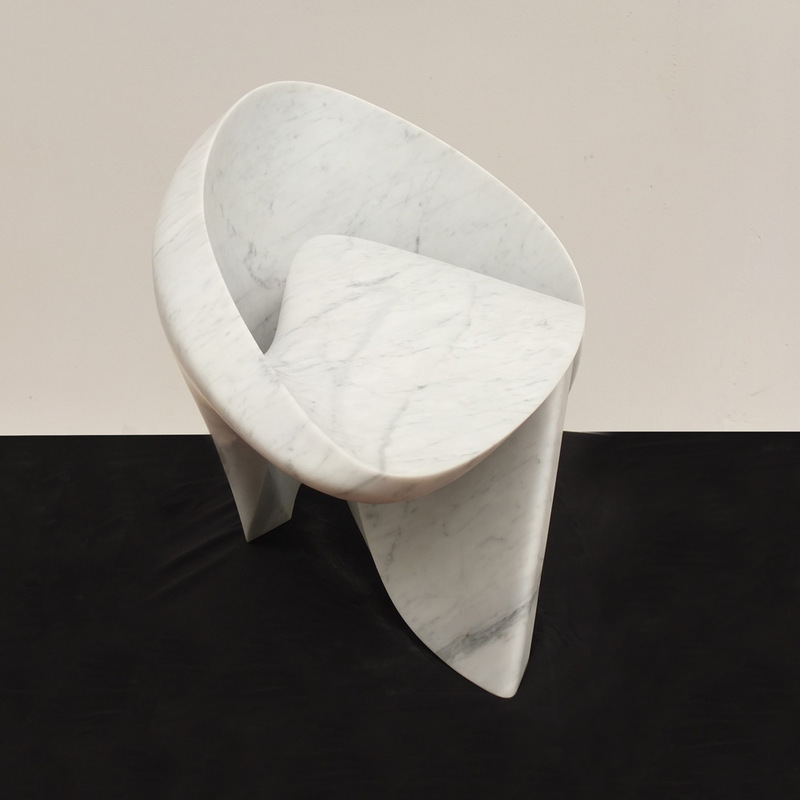 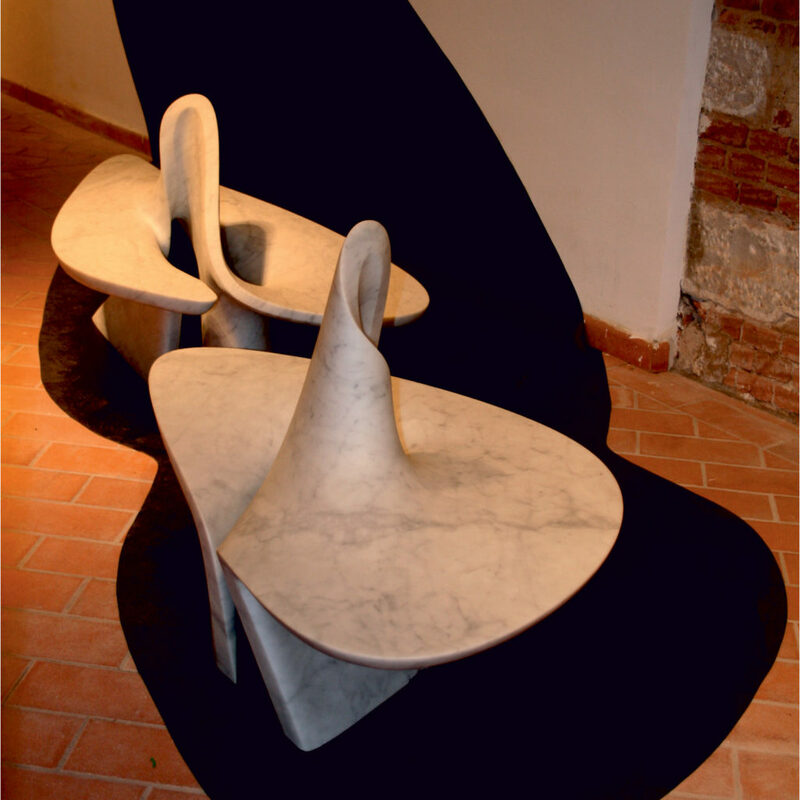 The work created specifically for the XIV International Sculpture Biennial of Carrara in 2010 is the product of this conception: one of the strongest materials par excellence, the marble, abandons its usual solidity to dissolve into a sensual alternation of concave and convex lines letting itself be shaped like it was the most malleable of natural elements. 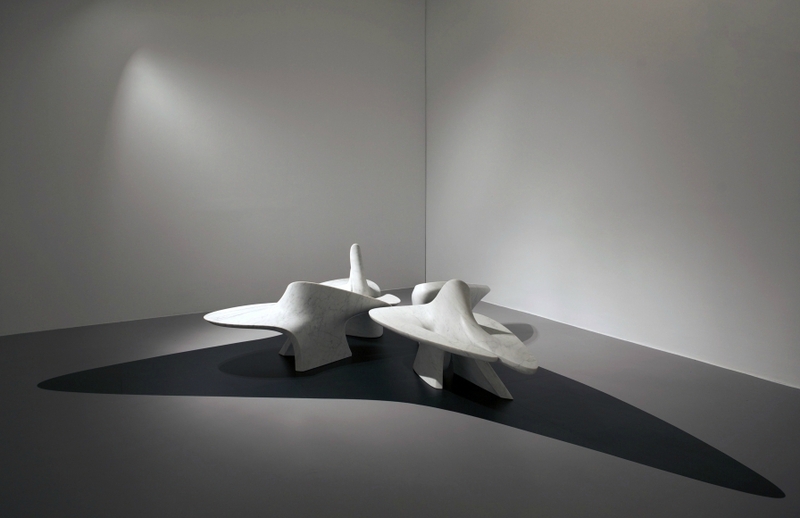 The final product is a fascinating couple, objects that in the form evoke the elegance of orchid flowers.